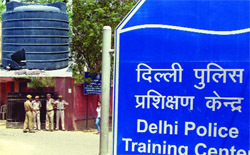 A recently recruited constable of the Delhi Police Armed Battalion was found dead under mysterious circumstances inside a water tank at the Delhi Police Training Center in Malviya Nagar, this morning. A Delhi police assistant sub-inspector (ASI) shot himself dead in Nangloi. The official was mentally disturbed after an astrologer predicted a death in his family in near future. A major fire broke out at the office of the State Bank of India (SBI) at Daryaganj this afternoon. No person was injured in the fire. "I always tell other government bodies like the PWD and the CPWD that they should aspire to match the working ideals of the Delhi Metro," said Chief Minister Sheila Dikshit, describing the Delhi Metro Rail Corporation (DMRC) as a "model" organisation on its 18th foundation day celebrations in the capital today. The Delhi High Court's order squashing the Institute of Chartered Accountants of India (ICAI) whimsical guidelines pertaining to the eligibility of a writer used by examinees with disabilities has certainly strengthened the faith of persons with disabilities on the country's judiciary. Controversial Guru Harikishan Hospital is likely to be commissioned in six months in collaboration with a private company BL Kappor, in which 25 per cent OPD will be for charitable purpose, said Delhi Sikh Gurdwara Management Committee (DSGMC) chief Paramjit Singh Sarna. Two moving instances of child abandonment, one a six-year-old physically and mentally challenged boy dumped in a cradle in the Sarita Vihar area and another a 15 days baby girl left to her fate at Hazrat Nizamuddin's Khusro Park Basti, came to light with both cases lined up for hearing before the Child Welfare Committee (CWC) of Lajpat Nagar today. An accountant was found dead under mysterious circumstances in his car at Tilak Marg, this morning. A 36-year-old man was killed by unidentified assailants when he was trying to prevent them from escaping after committing a robbery at Azadpur Sabzi Mandi this afternoon. The corpse of the constable, Munish Hooda (23), of the Seventh Armed Battalion was found in a fetal position inside the water tank. After the body's postmortem, which was conducted at AIIMS, a police officer said that the cause of Munish's death was possibly suicide. His family, however, asserts that he could not have killed himself. They hinted at the possibility of murder. Munish joined the Delhi Police in 2010. He lived at the barracks on the premises of the Delhi Police Training Center. "His barrack mates said they last saw him yesterday between 11 pm and 12 midnight," said Munish's cousin Harish Hooda, who is with the Indo-Tibetan Border Police (ITBP). At 9.30 this morning, a call was made to the police control room (PCR) about Munish's body. When the police reached the training centre, they saw that the body was kept in a bag. "Some police personnel had removed the body from the water tank, located above the barracks," said the officer. According to Harish, police personnel living in the barracks used to collect water from the tank to bathe. "The tank is about five feet high and contained three-foot deep water. A portion of it was broken to remove the body," added Harish. His body was taken to AIIMS for postmortem that was conducted late in the afternoon. The officer said that the autopsy indicated that Munish possibly committed suicide and was not murdered. No suicide note was, however, recovered from the site of the incident. But the officer could not clarify as to how Munish could have committed suicide inside the tank. A red mark had been found on the neck of the deceased, which his family claims is because of strangulation. "It seems to have been made by rope. It is not possible that he committed suicide. He is a well-built man and it appears that his body was thrown into the tank," claimed Harish. The officer, however said, "The postmortem was conducted in the presence of the family of the deceased. Doctors told them that the mark on Munish's neck was probably made due to his clothes." According to the officer, a case under Section 174 (police to inquire and report on suicide, etc) of the Code of Criminal Procedure (CrPc) has been registered at the Malviya Nagar police station. Munish's father, Krishan Hooda, is a head constable posted at the Mayur Vihar police station. He had last spoken to his son at 9 pm yesterday. "Over the phone, he told me that he had cold and was taking medicines. On Tuesday, he had returned to Delhi from our residence in Mungil in Rohtak," said Krishna. He said that it was not possible that Munish could have committed suicide because he was not suffering from depression nor was he stressed due to his job. Krishna got to know about his son's death at 11.30 am today from a relative. Munish's friend Ravi who is also a constable with the Delhi police, however, said that Munish had been depressed over the past few days. Ravi claimed that Munish was upset because he was not being granted leave and his request for posting in near the Delhi border close to his residence at Rohtak was not being accepted. According to the police, victim Raja Ram (55) was posted at the Nangloi police station in west Delhi. He shot himself dead with his service revolver at his residence at 2.30 am on April 30. He was rushed to a nearby hospital, but was declared 'brought dead'. According to the police, no suicide note was recovered the site of the shooting. Ram was reportedly upset over some deaths that had occurred in his family in the past few years. According to a neighbour, a few days ago, Ram had contacted an astrologer who had predicted a death in his family. On April 30, Ram tried to contact his son, but could not. Worried, he shot himself. Ram hailed from Rewari in Haryana. He had been staying at Veena Enclave in Nangloi for the past 25 years. Officials of the Delhi fire service suspect that the fire started due to a short-circuit on the second floor of the building. The fire started at 2.30 pm. Four fire tenders were sent to the site of the incident. The fire was doused at 4 pm. The fire started from the front of the building and spread towards the rear. Important documents were gutted. The cost of the damage is yet to be ascertained. In another incident, property worth lakhs of rupees were gutted in a fire that broke out at a plastic factory in Mundka,. The incident occurred early morning yesterday. The police was informed about the incident at 12.30 am. Seventeen fire tenders and some water tankers were sent to the site of the incident. The fire was doused in two and a half hours. The cause of the fire is being ascertained. The minister said she wished other government organisations also followed the methodology and competence to deliver quality work like the DMRC. Mangu Singh, managing director of the DMRC, said that 2016 was the new "goal-post" for the DMRC regarding the Phase III project completion. The Delhi Metro aspires to complete yet another 140 km in Phase III. The HUDA City Centre Metro station was declared the "best Metro station" and was presented with the "best station rolling shield" award. Pinaki Ghosh, station manager, New Delhi Metro station, won the "Metro man of the year (2011-12)" award for his outstanding professional acumen and organisational skills in managing the Metro station which has a high-passenger footfall. In addition, 34 other Metro employees were also awarded. The order passed on Wednesday, directing ICAI to relax the norms for differently able candidates in response to a PIL filed by a disability rights activist, Subhash Chandra Vashisht, after candidates approached him with concerns on the newly imposed guidelines, has saved them from the trauma of a year-loss as they appeared for CA exams today. "The revised laws were arbitrary and impractical and hope the institute learns from progressive stand of Delhi University in this. The court's directive to the ICAI was a great relief to all disabled who are appearing for the exams this year," said orthopaedically-challenged student. On the matter, reported first by The Tribune on April 29, following complaints on April 27 the Chief Commissioner of Disabilities sought an action taken report from the ICAI, which remained unmoved until the matter reached the court. According to the court, the fixing up 20 years as the age limit, barring a relative of the examinee for being a writer and introducing a clause of "same writer for all exams" do not hold much ground and hence the double-bench comprising of Chief Justice AK Sikri and Justice Rajiv Sahai Endlaw directed the world's second largest accounting professionals body to allow the candidates belonging to the section with disabilities for the same. However, one rider that came in to safeguard any unfair practice was that the writer should not be a CA, company secretary, conversant with cost accounts or corporate laws or from the commerce background. Also, the court made it clear that the order was applicable for this year's CA exams and for future the institute is entitled to discuss the matter during its scheduled meeting of the examination committee on May 13 while considering the petition as a representation on the matter. He said that commissioning of the hospital was delayed due to the case filed by a leader of the Shiromani Akali Dal (Badal) Kuldip Singh Bhogal. He had filed the case after being instigated by the Chief Minister of Punjab Parkash Singh who was patron of the SAD (B). Now every thing is in order and its OPD will be commissioned in six months, he said. A rumour has been spread in the community by the SAD (B) that the DSGMC has given the hospital on lees to the BL Kapoor group while actually the hospital will be commissioned on collaboration. The BL Kapoor group has specialisation in medical services. When asked that the land was allotted to the gurdwara committee for 200-bedded charitable hospital, Sarna said that 25 per cent of the OPD would be charitable. Giving reference of the notice issued to the gurdwara committee recently, he said that after going through the notice, it seemed that it was got issued by a junior-level official of the DDA by bribing them. The objection mentioned by the DDA in the notice had already been settled. The land was allotted by 200-bedded hospital but now it would be of 400-bedded hospital. As far as building plan is concerned, a number of buildings have been constructed flouting the building plan sanctioned by the DDA but no action has been taken against owner of these buildings. Why this issue is being raised by the DDA in connection with Guru Harikishan Hospital? As far as free of charge treatment is concerned, the objection should be raised if poor people are not given treatment free of cost. People should raise objection after the commissioning of the hospital, he said. Both cases show the neglect and insensitivity faced by innocent toddlers for no fault of theirs. In one case the child believed to be having profound mental retardation highlights the stigma associated with disabilities and families' shying away from the hard fact and in the other, the case could be another example of dislike for the girl child. In the case of abandoned boy, the CWC has directed the SHO of the Sarita Vihar police station to register a criminal case under Section 317 against unknown persons and submit a report on the next date of hearing on May 10. Also, given the mental health of the child, Lata Nair of Welcome Home of Children, Institutional Area, who found the child in cradle on May 1, has been asked to submit a rehabilitation plan after receiving the reports of medical examination and IQ tests. For the baby girl, who was earlier taken to AIIMS for treatment after Dinesh Kumar, the SI of Nizamuddin police station, found the child on April 21, a case under the same section has already been lodged. "We will wait for the police investigation in tracing the parents and family of both the children. It is after three months that such children are declared for adoption if the police do not get any link for families," said CWC chairperson Raaj Mangal Prasad. Joginder Singh (44) worked as a senior accountant with a private company at Gurgaon. Today morning, his body was found on the driver's seat of his car. Preliminary police investigations reveal that there is no foul play in his death. According to sources, he possibly died of a cardiac arrest. Singh's body has been sent to a hospital for post-mortem. According to his family, he had earlier also experienced a heart attack. Sources added that he left his office on Wednesday and since then did not answer the calls made on his mobile phone. The deceased, Satpal Sisodiya (36), worked as a parking attendant at the Azadpur Sabzi Mandi. Today while working at a parking area at the same locality, Satpal noticed some men running away after committing a robbery. When he tried stopping them, one of them attacked him in his neck with a big needle. The assailants escaped after that. Satpal stayed with his family at Bhadola village in Azadpur. According to workers at the Mandi, there have been numerous cases of robberies and stabbings here. Satpal's brother Sanjay Sisodiya said that such incidents had occurred several times, but no severe police action was taken.